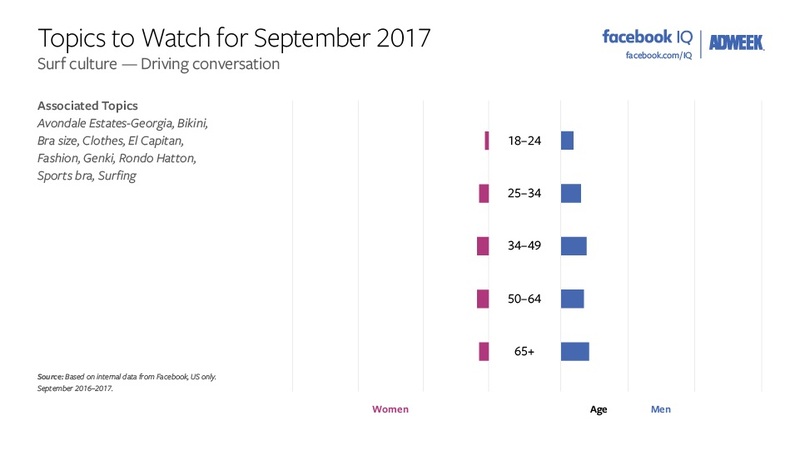 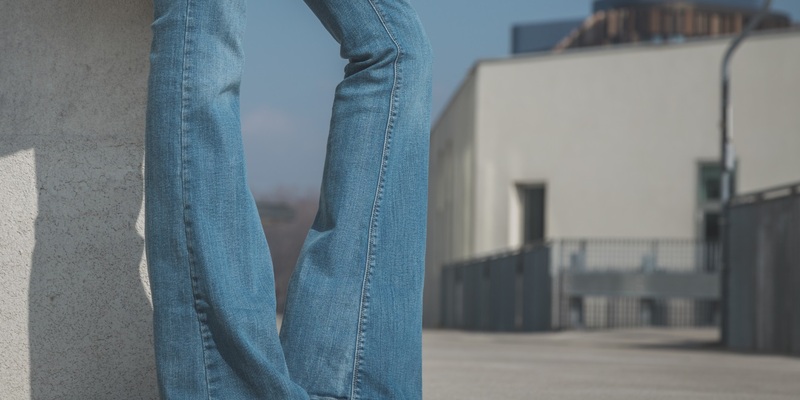 Bell bottoms are back, and they were one of Facebook IQ’s Topics to Watch on Facebook for September. 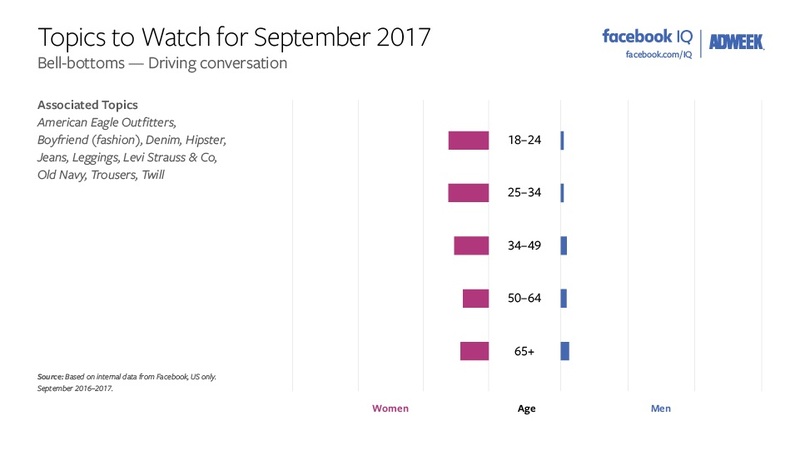 Conversation about bell bottoms and related terms—American Eagle Outfitters, boyfriend (fashion), denim, hipster, jeans, leggings, Levi Strauss & Co., Old Navy, trousers, twill—was up 15.1 times compared with September 2016 and 0.6 times versus August, driven by females of all ages. 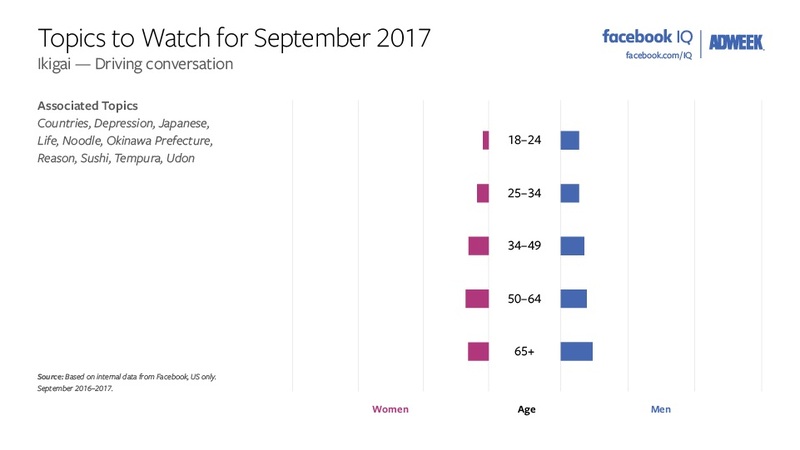 Ikigai, the Japanese concept of improving work and life, and related terms—countries, depression, Japanese, life, noodle, Okinawa Prefecture, reason, sushi, tempura, udon—was up 8.6 times year over year and 0.6 times month over month, with users on the older side of the spectrum driving the discussion. 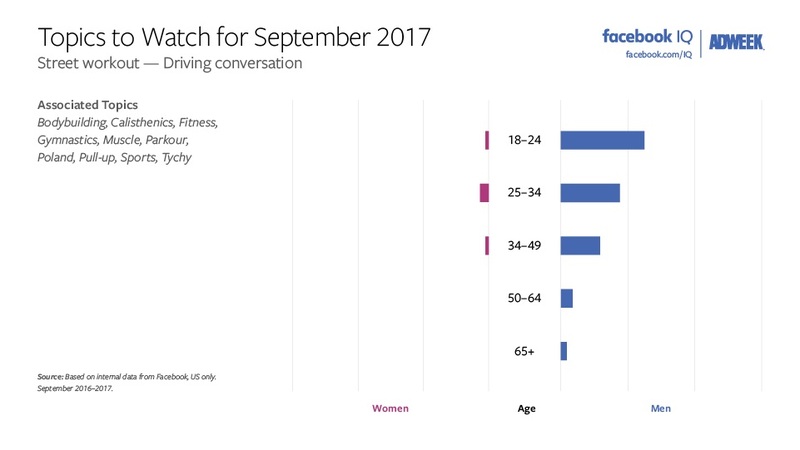 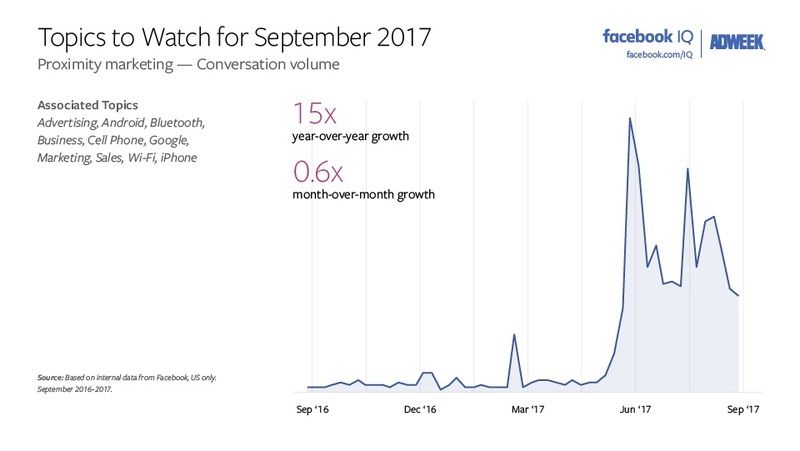 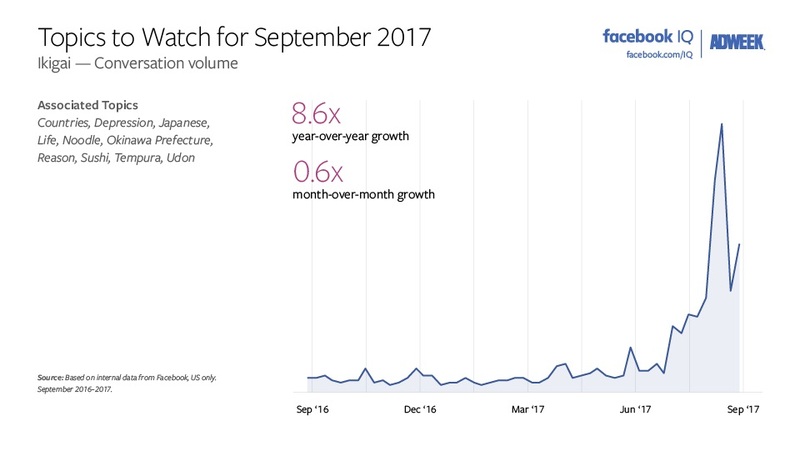 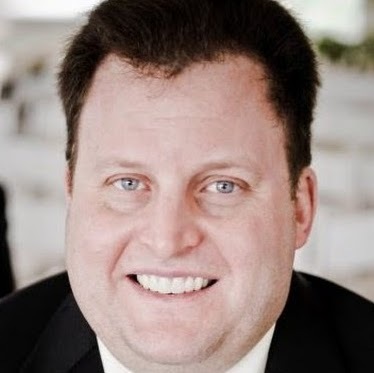 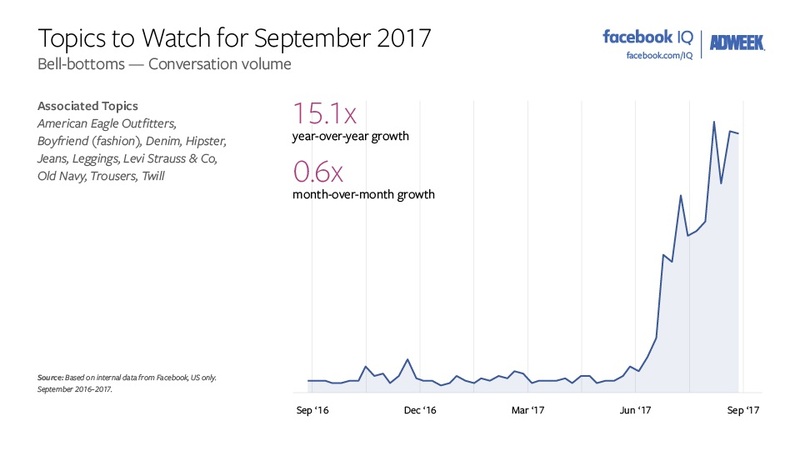 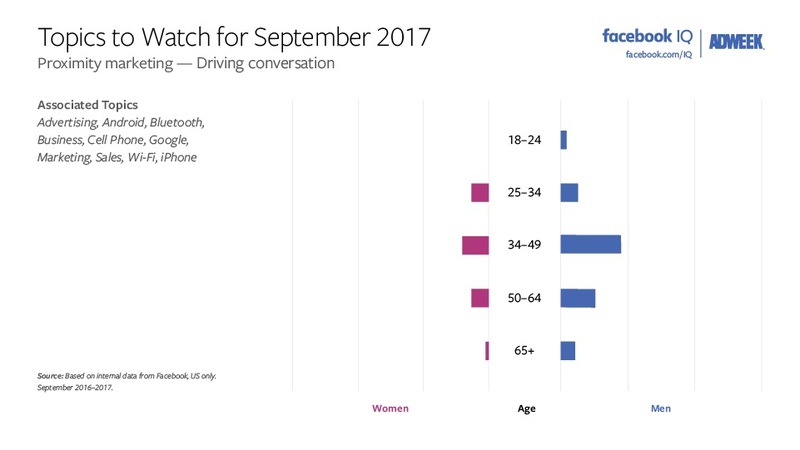 Facebook users discussed proximity marketing—as well as advertising, Android, Bluetooth, business, cell phone, Google, marketing, sales, Wi-Fi and phone—15 times more in September than in the same month last year and 0.6 times more than last month, with men 34 through 49 leading the way. 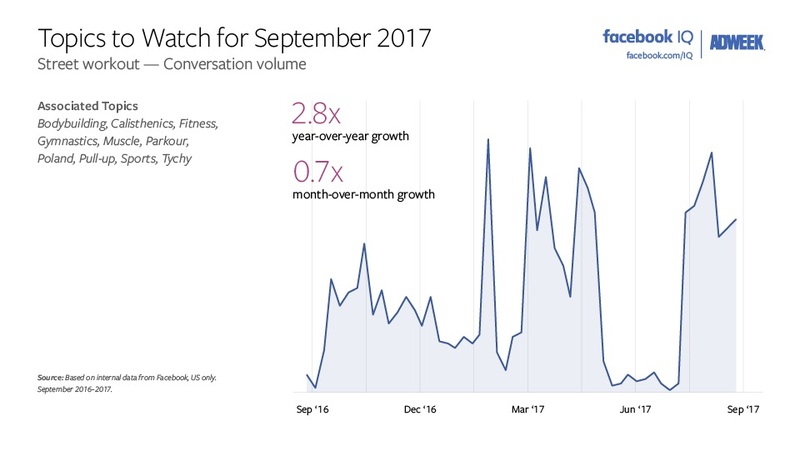 Users of the social network got physical in September, as street workout—along with bodybuilding, calisthenics, fitness, gymnastics, muscle, Parkour, Poland, pull-up, sports and Tychy—shot up 2.8 times year over year and 0.7 times versus August, with younger males dominating. 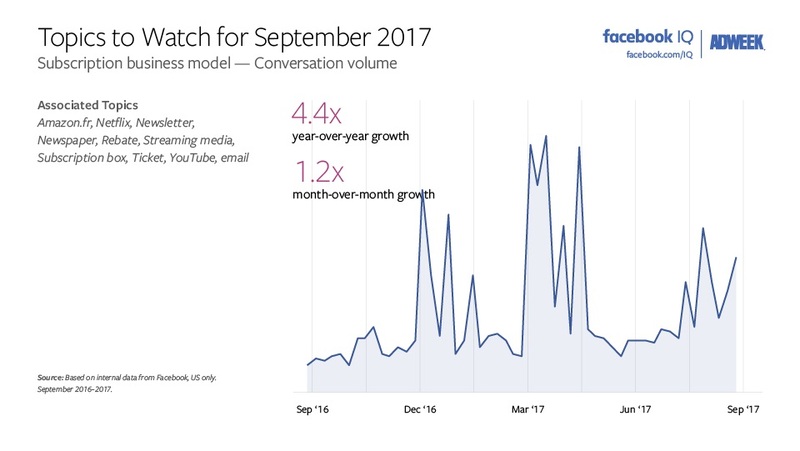 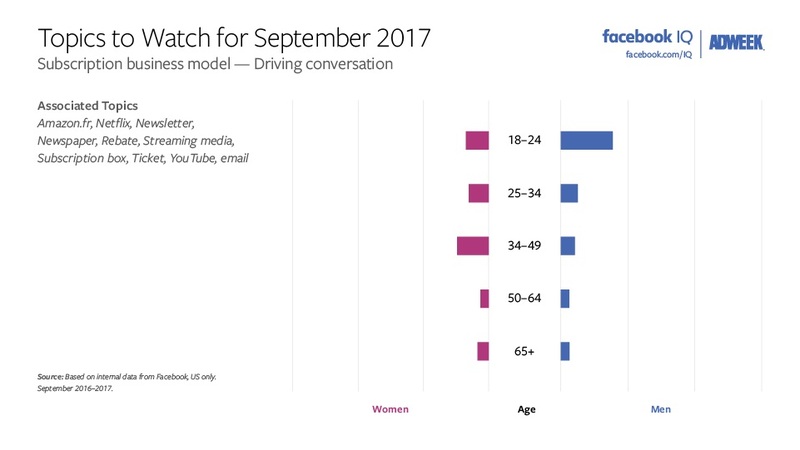 Subscription business model was another Topic to Watch on the social network in September—along with related terms Amazon.fr, Netflix, newsletter, newspaper, rebate, streaming media, subscription box, ticket, YouTube and email—up 4.4 times year-over-year and 1.2 times month over month, with males 18 through 24 driving the conversation. 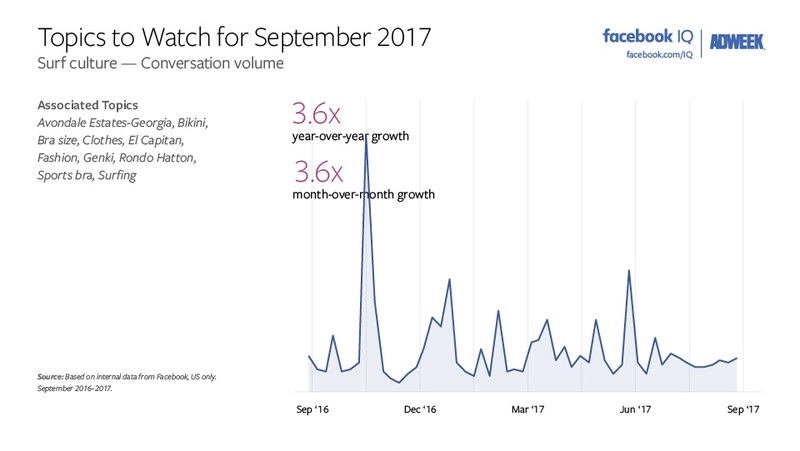 Finally, the surf was up on Facebook in September, as surf culture—joined by Avondale Estates-Georgia, bikini, bra size, clothes, El Capitan, fashion, Genki, Rondo Hatton, sports bra and surfing—saw discussion 3.6 times more than both September 2016 and August.